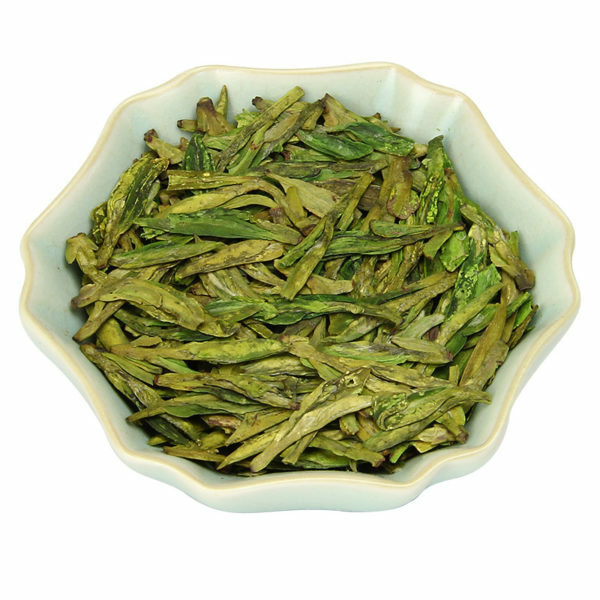 Wholesale buy Xi hu Longjing Dragon well Chinese green tea online for sale. Best value Pre-Qingming (or Before Ching Ming) west lake xihu longjing tea price $38. 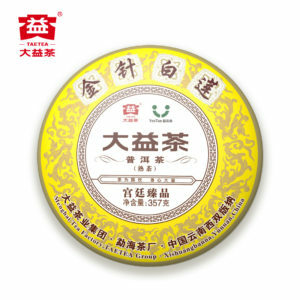 If you are looking for super premium Dragon Well tea, have a try of this. Sweet and smooth taste and smell fragrant. Xihu longjing is delicious after multiple infusions. Wholesale buy Xi hu Longjing Dragon well Chinese green tea online for sale. 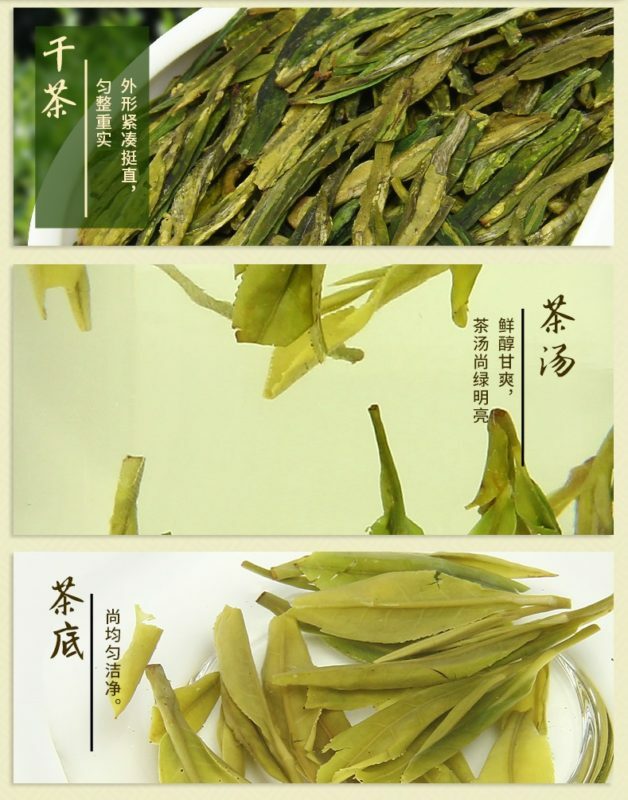 Best value Pre-Qingming (or Before Ching Ming) west lake xihu longjing tea price $38 with health benefits of weight loss. 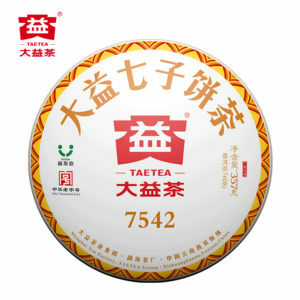 If you are looking for super premium Dragon Well tea, have a try of this. Sweet and smooth taste and smell fragrant. Xihu longjing is delicious after multiple infusions. 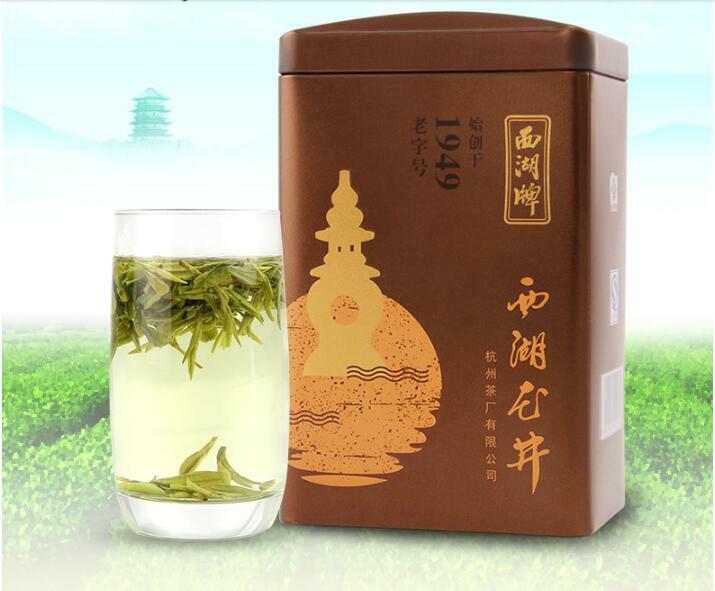 The premium early season first-picking known as Ming Qian or Pre-Qingming (or Before Ching Ming) Longjing tea requires it to be produced from the first spring shoots prior to the Qingming Festival on the 5th of April each year (approximately). In accordance with the Chinese farming calendar, which is a national holiday between April 1–4, it rains. After the rain the temperature heats up causing the tea plant to grow faster. When the tea bud becomes too big it begins to lose complexity in the brewed flavor, therefore the pre-qingming tea is considered better. 2018 new tea. Tea plucked Ming Qian or Pre-Qingming (or Before Ching Ming). The taste is durable and the brown rice color is more authentic. From the authentic core of origin, the soil is fertile, the water quality is good, and the tea produced is the gift of nature. 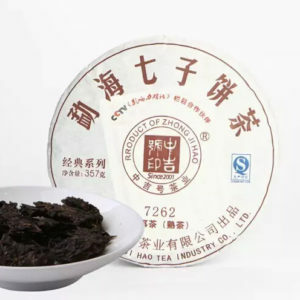 The old brand of zhejiang province, 69 years old, word of mouth, is this flavor. After opening the tea, the fragrance is rich. The taste is mellow. It is worth to be trusted. The tea soup is very clean. the flavor is rich and fragrant. 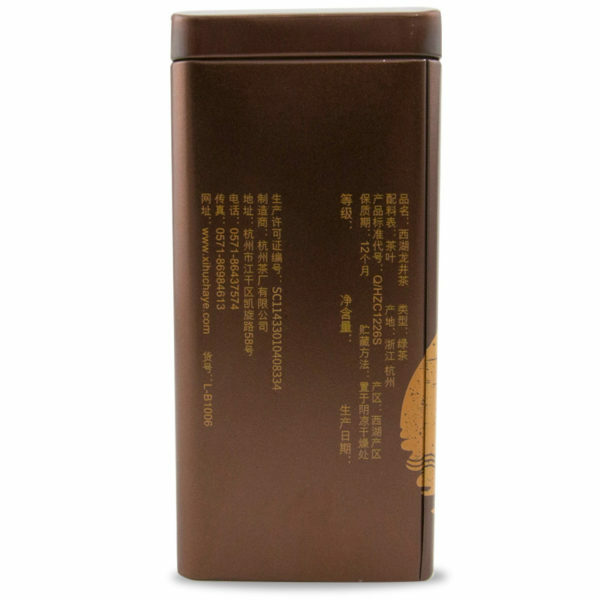 It is recommended to store tea leaves in a cool, dry, no direct light and ventilated place to achieve a more lasting flavor. West lake longjing belongs to stir-fried green tea. It is easy to leach in the inner quality. The soaking time should not be too long. 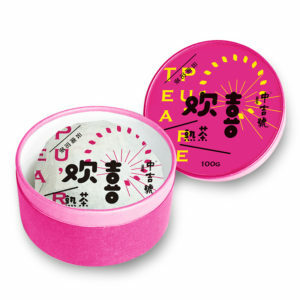 The tea soup and the tea leaves is recommended to be separated. The good green tea is usually about three brews. The best brewed green tea with water ratio is 1:50. And the tea can be refilled after 1/3 soup left. It is recommended to use a water temperature of 85 to 90 degrees Celsius. 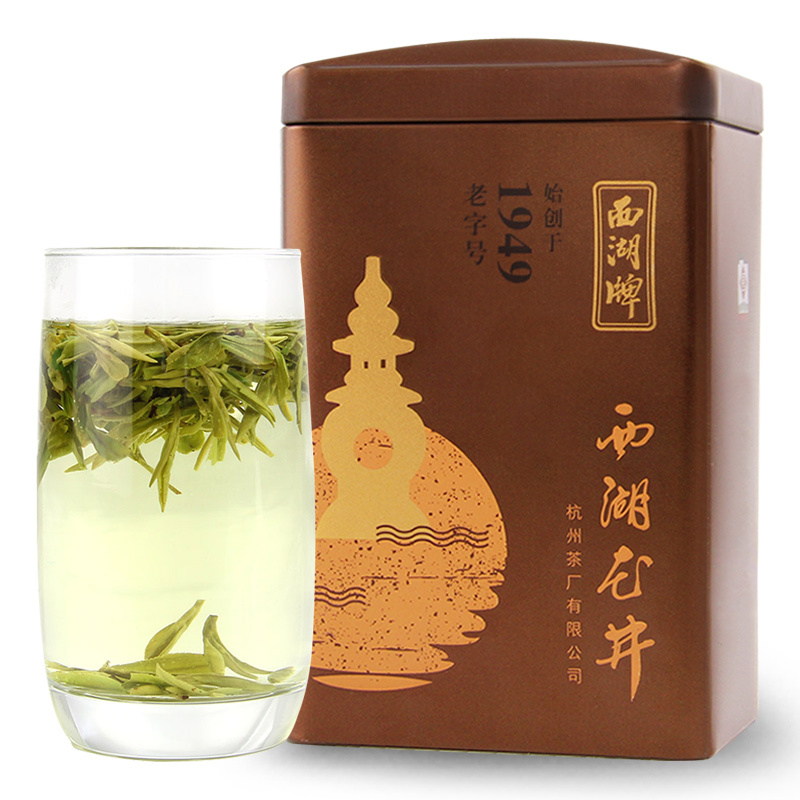 The unique fragrance of longjing tea blossoms on the tip of the tongue, while the long, and sweet taste leaves you with endless aftertaste. 1. Use a transparent glass. 2. Clean and warm cup. 3. Putting 2-3g tea leaves into glass cup. 4. Shake the glass slightly to get the aroma out. 5. Raise kettle high and fill in water to get leaves fully soaked. 6. 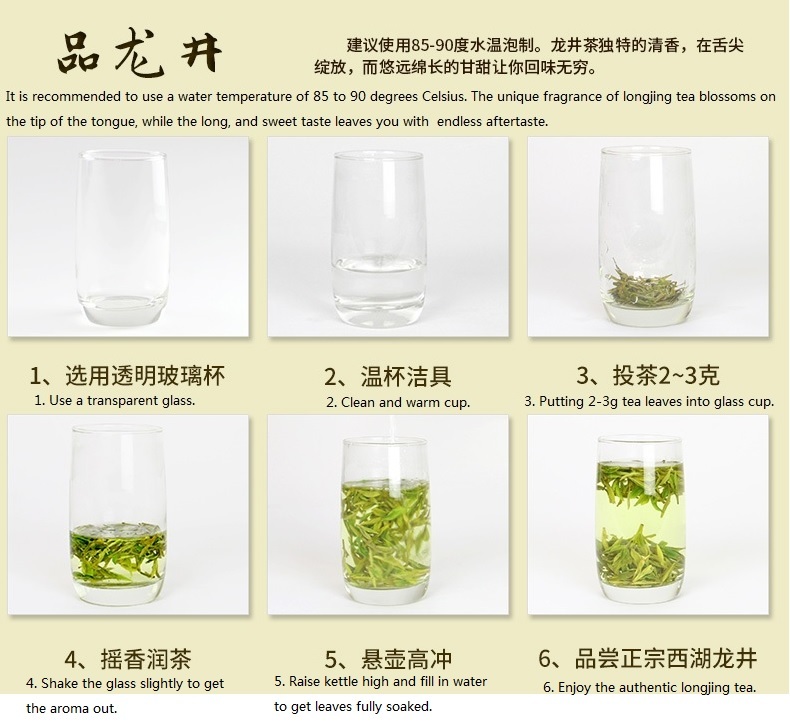 Enjoy the authentic longjing tea.